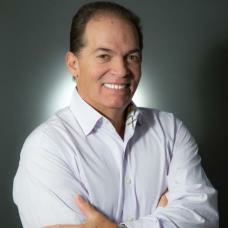 If you are looking for a low-pressure agent in the Central Florida area well look no further than Pablo Bernal. Pablo Bernal with RE/MAX Blue Water of Orlando will help you find the information you are looking for to help you make the best decision for the future. When you contact Pablo Bernal feel free to ask him any questions you can think of regarding the Central Florida Real Estate market. With over 15 years of experience and 100’s of successful transactions, Pablo has the negotiation skills that you need to help you buy or sell your next Central Florida property. Extremely easy to deal with and a master of making the transaction as smooth as possible for his clients, he will always do what he says he will do when he said he will do it. And, that goes a long way with his long-time clients. Pablo Bernal I am a dedicated professional with 15 years of experience in the Central Florida Real Estate Market area, I have been an Orlando resident for over 35 years where I married my beautiful wife Marisa and raised 2 awesome kids in our family. I hold 2 designation in the Real Estate arena one is a Graduate Realtor Institute (GRI) and Broker Price Opinion Resource (BPOR). I offer expertise to sellers and buyers find solutions to their needs. Please feel free to ask me if there is anything else you would like to know. I look forward to partnering with you and tackling your next real estate endeavor.